1.Our LED assorted light stick wands features 4 bright LEDs. 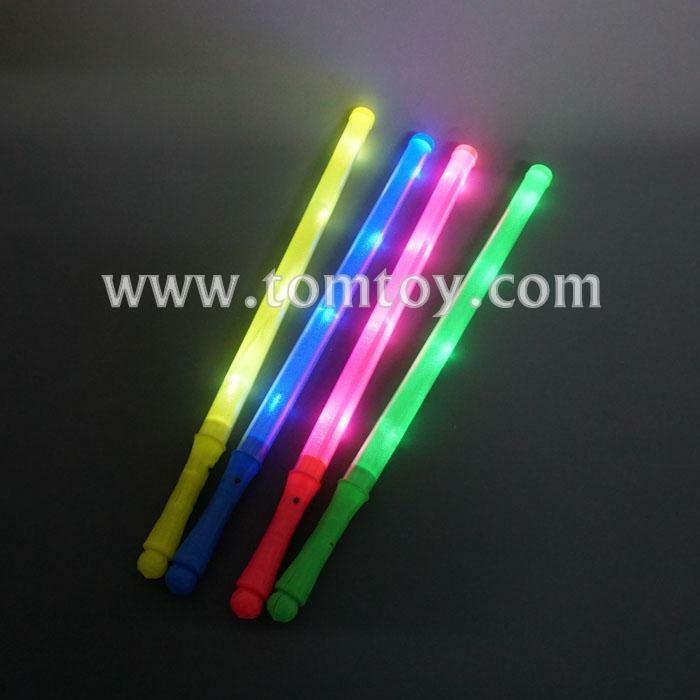 2.Yellow stick with 4pcs white LED,Blue Stick with 4pcs blue LED,Green Stick with 4pcs green LED,Pink Stick with 4pcs white LED. 4.Each one comes with 3pcs AG13 batteries.